For first-time business owners and seasoned entrepreneurs alike, ensuring the success of any given venture is of paramount importance. While some ideas are destined to fail for one reason or another, certain types of enterprises will boast better survival rates than others. For instance, a window-cleaning business is a great way to launch an instantly profitable venture with little funding. If you have a solid plan and the will to thrive, a window-cleaning outfit can be a good fit for you. 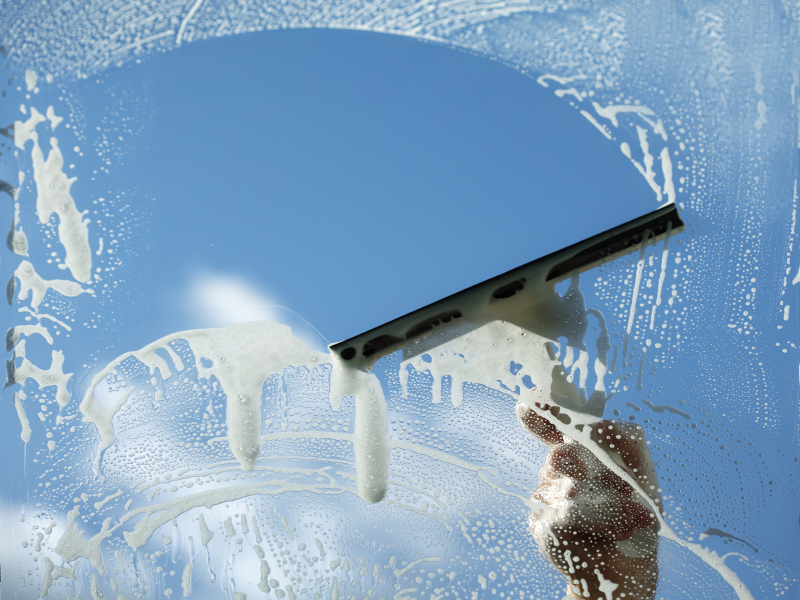 There are a variety of approaches one could take when launching a window-cleaning business. Do a little market research in your local area to determine the best way to proceed. At the outset, you’ll find the most success by targeting SMBs and smaller corporations. Differentiate your business from the competition by going after a specific niche. For instance, you could commit yourself to using only environmentally friendly cleaning products from suppliers like Seventh Generation. Alternatively, you could purchase a Dr. Glass or Squeegee Squad franchise if you can secure the necessary funds. You’ll need to secure funding, fill out business registration forms and form an LLC or other corporate entity at the very least to get your window-cleaning business started. Finally, it would probably be wise to acquire a fair amount of automobile and personal injury insurance coverage in case any on-the-job mishaps occur. Naturally, starting a window-cleaning venture will require you to stock up on soap, sponges, scrapers and squeegees as well as ladders and rags. Depending on the scope of your business, you may also need to buy safety gear like harnesses and pulleys. You’ll certainly need a good, solid van or truck to transport all of your cleaning gear. Lastly, there’s a good chance that you’ll need to hire a helper or two right off the bat, so scout out potential employees early on. The most important thing to do is just get out there and start cleaning windows at a professional level. The marketing can come later. To get the ball rolling, offer your services to community-oriented organizations such as schools, Rotary Clubs and public libraries at a significant discount. They’re typically short on cash and more than willing to do business with scrappy outfits that will undercut larger service providers on price. Focus on passing out flyers, business cards and coupons during this break-in period. During your first few months in business, one of the most critical objectives that you’ll need to achieve is finding the right price for your services. You’ll have to feel out the local market a bit to find good price points that are attractive to your future clients. Low-ball your initial prices or offer your services on an attractive trial basis. Once you’ve proven your worth to prospective clients, you can start to talk turkey and pinpoint the right figures. There are so many ways to market a window-washing outfit that it’s difficult to recommend any one given method. Try the shotgun approach and utilize all available avenues. Flyers, business cards and word-of-mouth are always killer promotional tactics. In addition, get your business listed on Google+ and Yelp to raise your profile in the eyes of local consumers. Once the positive online reviews start to roll in, you can focus less on promotion and more on expanding your business. If you want to go the distance as a professional window washer, you’ll need to work on locking down long-term contracts with larger businesses. That’s where you’ll ultimately find your meal ticket. Look at businesses with offices or grounds that host at least 50 employees or so that want to put their best face forward. They’ll boast tons of windows that need washing on a regular basis and provide you with plenty of profit opportunities. The ease with which one can start a window-washing company is one of the most attractive qualities of the business. However, this means that it’s easy for rivals to enter the ring and challenge you at every turn. If you’d like to have a fighting chance at longevity, you’ll need to establish a superlative reputation based on performance and value. Expand your reach whenever possible and explore new niches to ensure your company’s future.